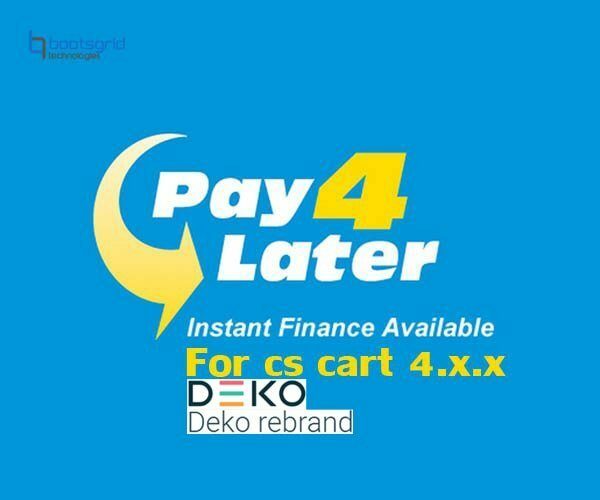 Pay4later(deko) is one of best and leading finance payment module. This plug-in about to describe user can purchase product and pay. 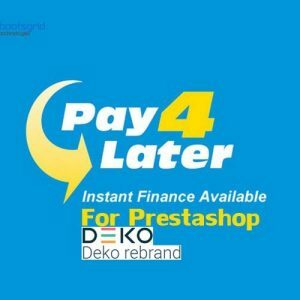 Customers can purchase the products with specified installment rates. Choose finance options in pay4later at checkout pages. 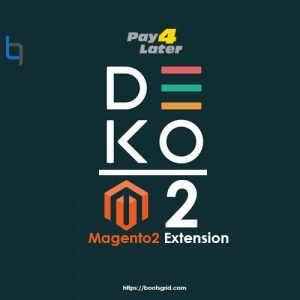 Customer can choose both Test/Live mode for pay4later. Set minimum finance amout for pay4later finance in admin. Unzip the (dekopay-cscart.zip) plugin file and upload it to your website root directory. Login to admin panel and go to Add-ons->Manage add-ons and search the name ‘Dekopay’. Click Install button. Installation Done. 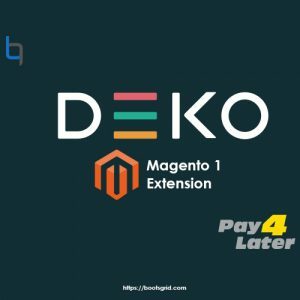 Then See the documentation for dekopay finance payment configuration. 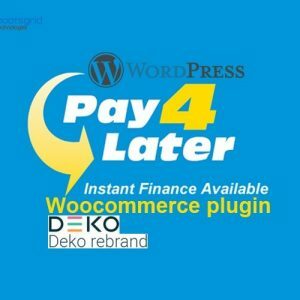 For my long time search of a good plugin, i ended up by finding this payment method as the best for my online business.